It’s here, it’s here, it’s here! The Courageous Brides Collection, which includes my 3rd novella, Mountain Echoes, came out on July 1. So I’ll be celebrating this month with a giveaway of an autographed copy. My hero in Mountain Echoes is stagecoach driver Finn McCaffrey. In researching the men (and women) who held such a job, I found them to be a colorful bunch, so I thought I’d share a bit about them. The typical garb for a stagecoach driver was a flat-crowned, wide-brimmed hat. They wore a long linen duster coat to combat the elements, and long gloves to protect their hands from the leather reins. Tall leather boots completed the outfit. Most carried a whip which they’d crack above the team’s heads to encourage them along the route. So…who were some of the real people who made names for themselves as stage drivers? 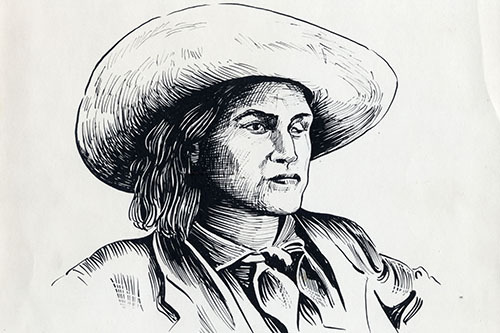 George Monroe was born in Georgia and traveled west at the tender age of 11. Early on, he showed great promise with training and driving horses. 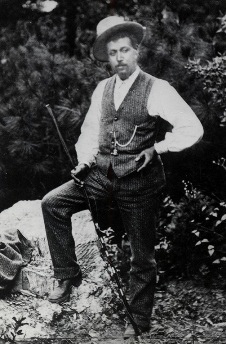 At the age of 22, he hired on with the A.H. Washburn Stage company, which drove to Yosemite. 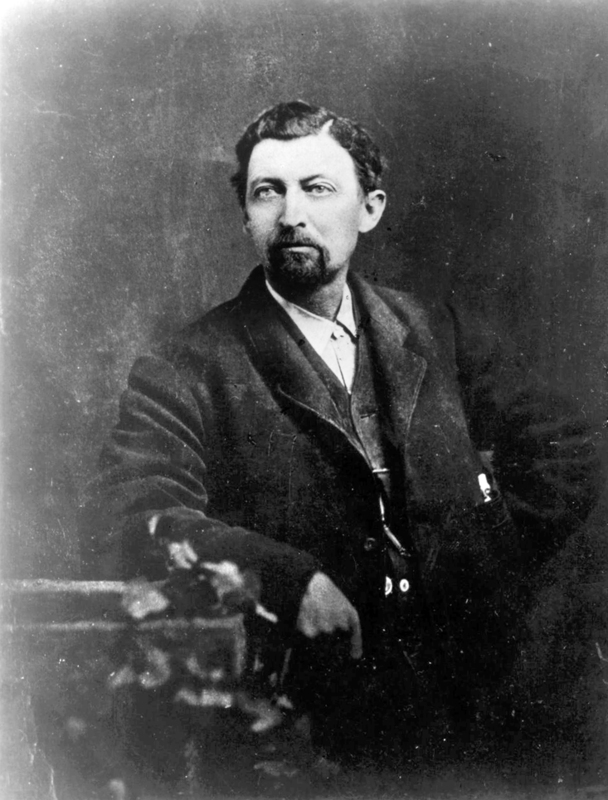 Monroe’s quick thinking and nerves of steel gained him the title of “best all-around Reinsman in the West,” and when various U.S. Presidents (Ulysses S. Grant, James A. Garfield, and Rutherford B. Hayes) each toured the west, he was the whip chosen to drive them. Grant, an avid horseman himself, chose to sit on the bench beside the driver on the most treacherous part of the path—an unbelievably narrow 26-mile passage full of hairpin curves, potholes, and falling rocks. Grant watched as Monroe navigated each difficulty with great skill and later said that it was as if the six-horse team were one animal under Monroe’s control. This driver was an interesting person. Often called One-eyed Charley or Cockeyed Charley, this Jehu drove for many different stage companies throughout California for over thirty years. But rather than give you my brief description, I’ll let former HHH blogger Winnie Griggs’ post (found here) on old Charley speak for itself. It’s your turn: Of the three drivers mentioned here, which would you have wanted to travel with? Leave your contact information with your comment to be included in the drawing for an autographed copy of The Courageous Brides Collection. Drawing will be held tomorrow, July 26, 2016. Whoa! I'm really floored about One Eyed Charley! Think he/she would be the one safest as he could ride and shoot and protect! Loved your topic today, Jennifer! Love to read this book on our own Nicaragua adventures! Hi Melody! Thanks so much for stopping by. I thought One Eyed Charley was quite a hoot too. Such a character. I love that Charley was born in NH, but I think I'd feel most comfortable with Mr. Monroe. Very good blog today!!! After reading the info about One-Eyed Charley, I believe I would feel safest with her/him. I am amazed she was able to pull off a lifetime of being a man. It would take a lot of pluck to do what she did. You are so right, Debbie! It has always baffled me how One-Eyed Charley managed all those years to pull off that ruse! I remember the Charley story! That one blew me away. It seems as if Mr. Monroe would be the safest, or maybe Charley just because of how far she got being who she was! I truly believe that Charley's story is one that will stick with you after you've read it--just because it is so unusual! I am going with Charley! Thank you for sharing your interesting post. Thanks so much for stopping by, Melanie! What an interesting post! I loved reading about each of these stagecoach drivers, and I think I would have enjoyed riding with One-eyed Charley! Charley was quite the character, Britney. One of those people it would be interesting to go back in time to meet and talk to! Thank you for stopping by. I'm so glad you enjoyed the post, Diane! You have to hand it to Charley--that's one person who wasn't going to let life hold him (her) back! Glad you stopped by, Tammie! Hank Monk certainly seemed to be a wild and crazy character. They all seem like good stagecoach drivers. The one I found most colorful was Charley Parkhurst, but the one I think I would most like to drive me would be George Monroe. I'm afraid I would get too wild a ride with Hank Monk. Thank you for this post and this giveaway. I think I'm with you, Susan. Hank Monk seems a bit too wild for my taste. George Monroe is the one I'd choose, though it sure would be interesting to have met Charley! It certainly sounds like one could figure on getting safely to your destination with any of the drivers mentioned. I think my preference would be to ride with George Monroe. :) Thanks for the giveaway. Good choice, Betti! Thank you for stopping by. Thanks for the post. cheetahthecat1986ATgmailDOTcom. Very interesting post, Jennifer. I hadn't heard the term Jehu used in that way before. One Eye Charley! LOL. I love stagecoaches and reading about them. Though at times it can be dangerous, there's always some adventure in stories with them! I visited a transportation museum once and was able to sit in one. So cool! I'd love to know where that museum is! I was trying to find a nearby location where the Wells Fargo stagecoach would be on display so I could go see it while I was writing my story. Unfortunately, they weren't in my area at the time. George sounds like he was a "horse whisperer". I'm impressed he drove some of our presidents. You very well could be right, Caryl! He sure could have been a horse whisperer. Thank you for stopping by today! I would love to take a dangerous mountain drive with George Monroe to Yosemite! Thanks for the giveaway- this collection looks fabulous! Thanks so much for stopping by, Heidi! Yosemite sounds fantastic. A stage ride to it, even more intriguing! Wow, what fascinating stories of the stagecoach drivers presented here today. My choice would be One Eyed Charlie. With this driver I would not fear for my safety and sounds like she knows her way around horses and had quite the bravery going on. 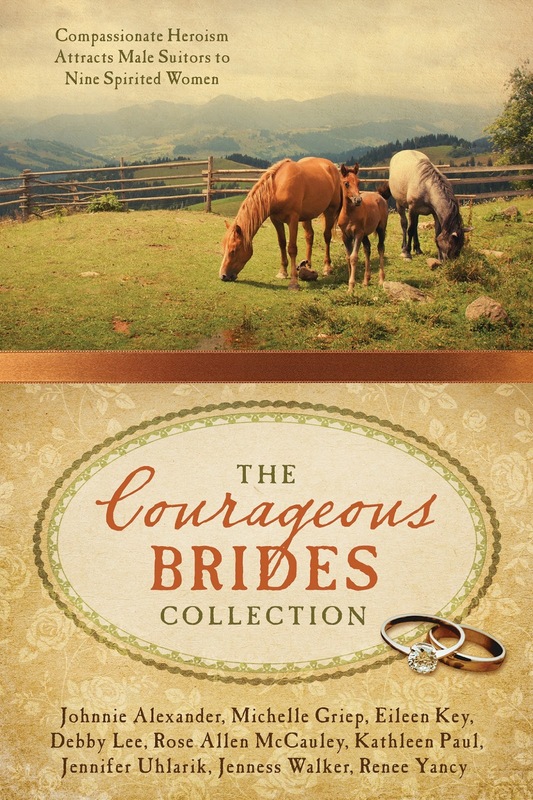 I would love to read THE COURAGEOUS BRIDES COLLECTION. This collection sounds fabulous! Hi Deanne, thank you so much for stopping by! I definitely think One-Eyed Charley would have had to be brave in order to live as long as she did pretending to be a man. And to do all she did. One amazing person. I absolutely love this book! All of the authors are great. Since I already own it, I would love to win a copy to give to my daughter, so please enter me! I am so happy to know you loved the collection, Debbie! I'll let everyone know the winner in a few more hours! Thank you everyone for all the wonderful comments. 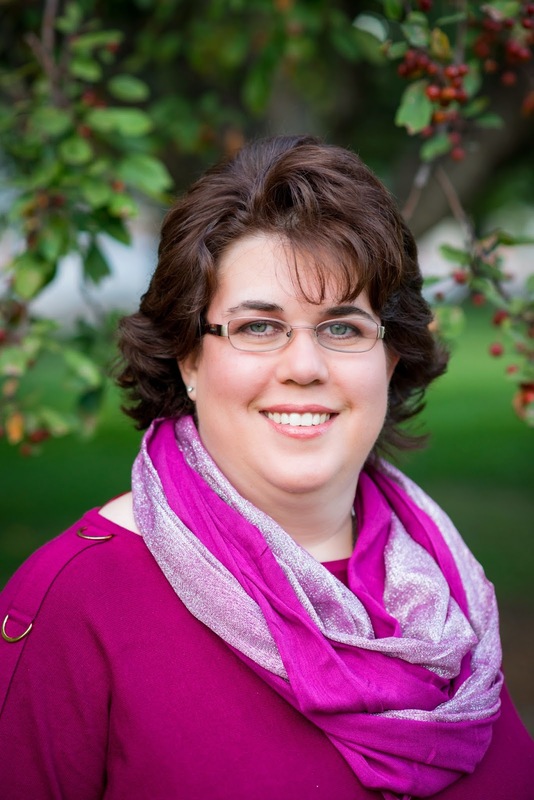 The winner for the drawing this month is Heidi Robbins. Heidi, I will contact you privately.